What a location!! These efficiencies are priced right and are in the heart of Campustown. Renovated kitchens and bathrooms are a must see. We have a courteous, professional staff that includes 24-hour emergency maintenance. Please call, email or stop by our office for more information. 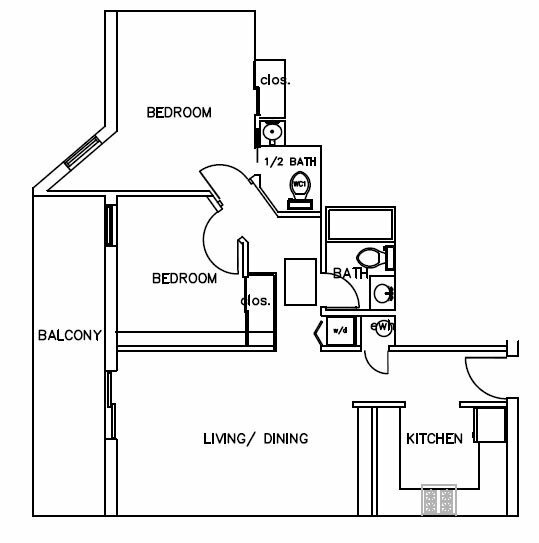 This rental is located and 0.20 miles from University of Illinois at Urbana-Champaign. The property has a Walkscore of 79, so you should be able to walk or ride a bike most of the time. This rental has many shops nearby. Coffee shops in the area include The Beckman Cafe, The Urbana Free Library, Starbucks. There are a number of markets in the area include Meijer, Walmart Supercenter, County Market.